As early as 6 months are when your baby’s teeth will start to come in. These teeth are called primary teeth which are essential for eating, building jaw bone structure and eventually making way for their adult teeth which come in at the age of 6 or 7. So the importance of taking care of your baby’s teeth should start early as they will be using them for the next 6 years. Wipe your baby’s gums (before any teeth have erupted) with a moist cloth or piece of gauze after every meal. 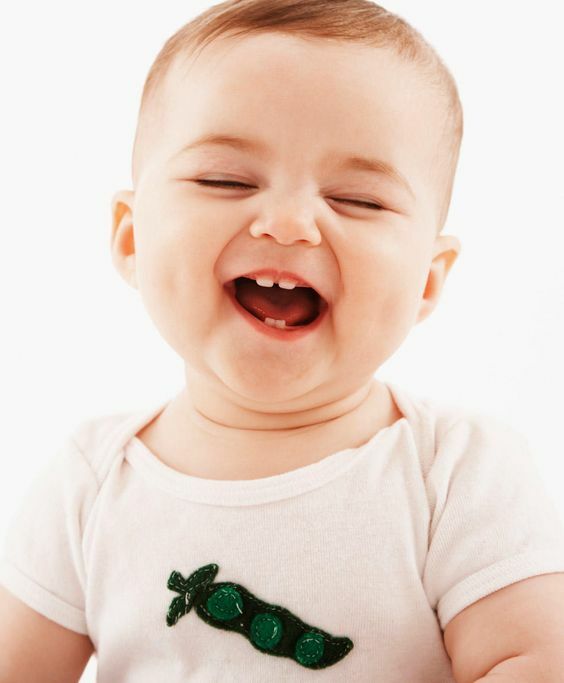 When the first baby teeth start to come u p use a soft bristled baby tooth brush designated for infants. There are also finger brushes which are sometimes easier to start with. Biggest no-no which I am sure you have herd before: Avoid all sippy cups or bottles with juice, milk or formula before bed. Always water down all your juices if you choose to give it to them throughout the day. Around the age of 1 or just before is a great time to familiarize your child with the Dentist for their first checkup. Most of the time their first checkup does not include a cleaning, just a visit, to meet the Dentist and become comfortable in their surroundings. Build those habits! 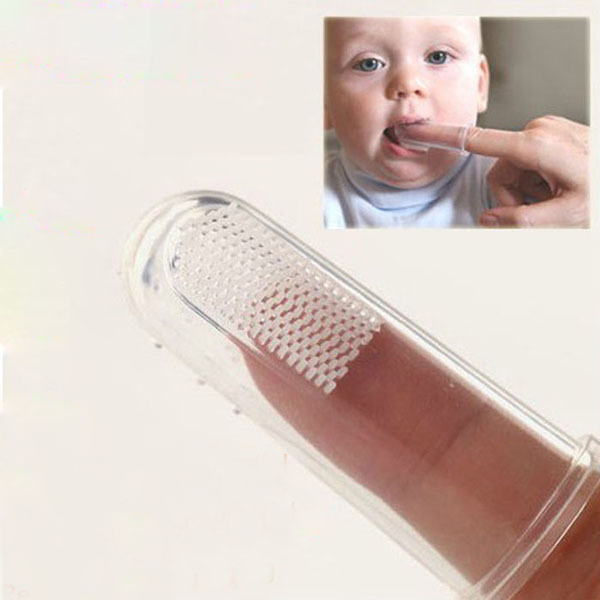 From baby to Toddler those terrible two’s have you running around the house with a toothbrush in your hand, but be diligent! Brush with water until the age of 2, thereafter you should use a fluoridated toothpaste 2x a day (morning and night) and floss between the day (if possible) or before nighttime brushing. Build a routine: same time, same place same amount of times a day be consistent! Make it fun with lots of rewarding and positive reinforcement. Always watch from beginning to end and help them until they can do it sufficiently themselves (thoroughly). You can always do a check afterwards and help them floss. Around the age of 4 is a great time to invest in an electric toothbrush. At Westview Dental we usually recommend Sonicare for kids. They have interactive games with tooth brushing which communicate via Bluetooth! WOW, technology eh!!? **Dexterity at a young age can sometimes be difficult for our young ones, electric toothbrushes ensure a thoroughly clean mouth. Regular cleanings and checkups are a must to ensure your child’s oral health. Dental professionals are able to help show mom the right way of brushing their little one’s teeth. 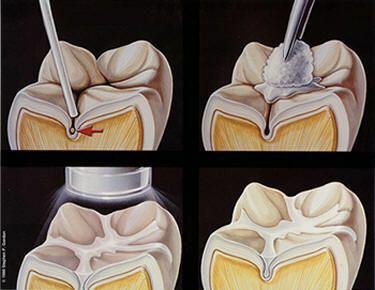 Sealants- Sealants are a type of filling material that fill in the natural fissures or cracks in our children’s teeth. They are an excellent preventative measure to actively stop cavities from forming. Your Dentist will tell you when the right time is for sealants. In Conclusion, your child’s growing mouth is something to always keep an eye on no matter the age, and help building familiarity and habits that will maintain good oral health throughout their lives. Previous Post:What Causes Bad Breath? Fluoride… How does it Work and is it Safe? How to Cure Bad Breath! 8 Unusual Ways to Remember to Floss! How Cavities form – and how to stop them! harga beton ready mix on Fluoride… How does it Work and is it Safe? Gregorybrake on How to Cure Bad Breath! JamesDic on How to Cure Bad Breath!